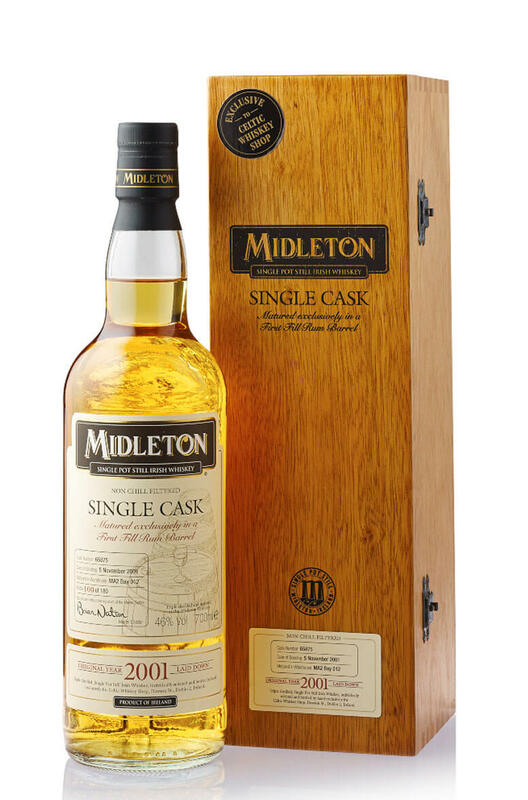 This superb bottling of single pot still Midleton was distilled in 2001 and matured entirely in a first fill rum cask. It is very fruity in style with fresh, lively flavours and some classic, oily pot still character. Only 180 have been released. Highly recommended! Nose Lively aromas of pineapple, mango, vanilla, cream soda and toffee apples. Palate Lots of pot still character with a mouth filling/oily texture. Flavours of lemon curd, tropical fruits, vanilla cream, citrus peel and some sappy, woody notes. Finishes with more oily pot still notes. Any Additional Information of Note Non-chilfiltered, only 180 bottles released. Exclusively available from the Celtic Whiskey Shop.